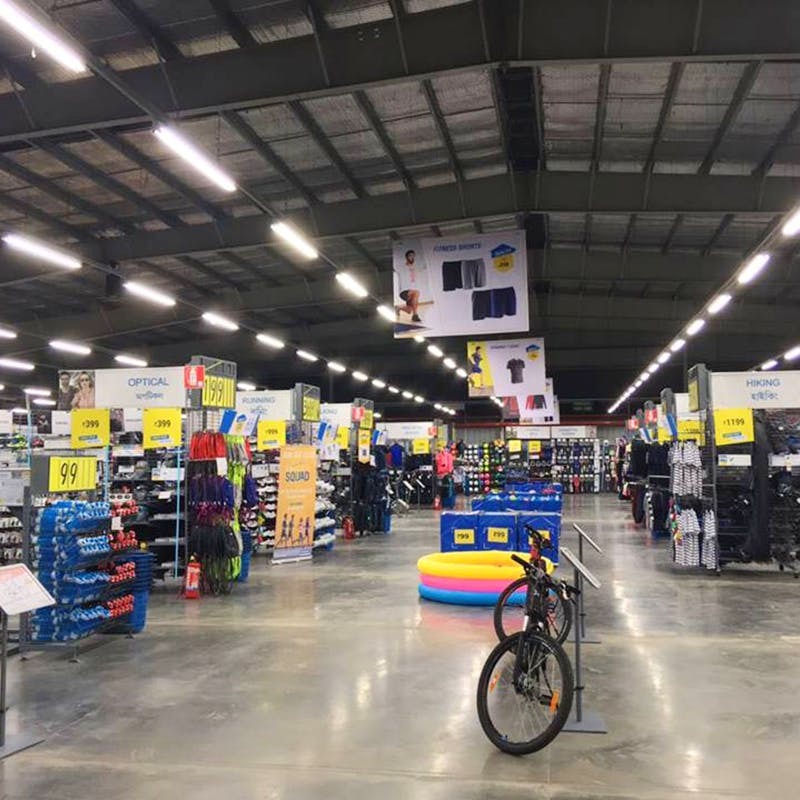 Life is so much better for people in and around Koramangala now that Decathlon has finally opened its big experience store. All you folks who live in HSR, Ejipura, and even Adugodi, no more having to go to the Brigade Road store, cause the Decathlon store in Koramangala is on 8th Block in the newly constructed Mantri Jupiter Mall, right next to the Regional Passport Office. The store's stocked up on all your sporting needs be it football, basketball, cycling or even hiking. They also have gym wear and a cross fit section too. We hear that they will be opened a sports court for conducting their activities as well as D Cafe. Oh, and the store is big enough for you to test ride the cycles around.